Surveying the vast array of pet food can send even the most relaxed pet owner into a state of utter distress. You have to choose between brands all vying for your purchase with vibrant colors or descriptions, but even after you settle on one, there’s the nutritional information that seems to exist only to confuse consumers. Don’t fret. 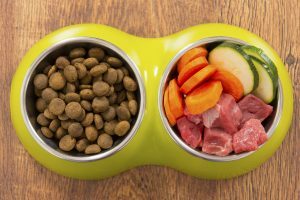 The Pet Experts at Elmhurst Animal Care Center have some tips on how to decipher pet food labels so your pet can benefit from a lifetime of appropriate nutrition. It’s easy to love a puppy. Puppies are cute, adorable, and oh-so-sweet. Luckily, their collective abilities lull us into a state of pure bliss, preserving their security and well-being. But, what does caring for a puppy really entail? Endless snuggles? Check. Never-ending laughter? Of course. Heartwarming antics? You got it! 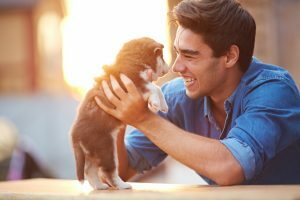 All of these things (and more) are part of welcoming a young pup into your life, but there are more serious topics to be aware of.